Ah, tipping. Tipping, tipping, tipping. Everyone has an opinion about how America should handle its quirky gratuity system, and as I recently discovered, these opinions are passionately held. But tipping reform is sweeping the nation, and these restaurants across the Nifty Fifty are on the forefront of that sea change. Each of these places bans, discourages, or otherwise circumvents the industry-standard practice of tipping for service. This enables equality between the front- and back-of-house, makes for a smoother dining experience, and offers vastly more stability & benefits to the restaurant's employees. All good reasons to spend your dining dollar at one of the spots on this list. More restaurants are joining the no-tipping cause every day, so I'll be periodically updating this list in the future. If you come across a restaurant or bar that should be on here, let me know on Twitter or in the comments! Chi's Michelin-laden mainstay requires diners to pay for their entire experience up front -- tasting menu, tax, and tip. 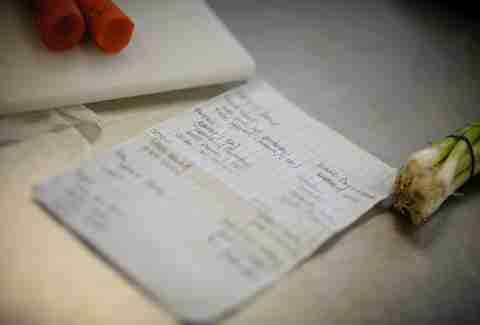 Multiple calls to Alinea were not returned, but according to Grub Street and a slew of anecdotal Yelp reviews, the gratuity charge is 20% of the menu price. It's unclear whether the money goes directly to servers or into the "general restaurant operations" fund. Eater reports that when the doubled-Michelin-starred Tribeca hotspot reopens on May 12th, it'll do with a "European-style service-included system." The 18-course tasting menu will cost $235 (not including beverage or tax), and no additional gratuity is necessary. "We can even out the salaries among everybody and have the money to be able to add health-insurance on top of that," owner Jodi Richard Eater's Ryan Sutton. Back in fall 2014, SFGate reported that Agricole would be one of five Bay Area restaurants moving away from standard gratuities. The news was met with speculation over whether they'd be able to pull it off. Fast-forward a few months, and it seems to be smooth sailing, at least at Agricole. "[T]he price was a little high for what it was," writes Yelper David C. "but considering tip was included, it was well worth it!" Owner Thad Vogler told me on the phone that BA raised its menu prices 20%; their average gratuity before they changed their system at the beginning of 2015 was around 21%. There's no tip line -- a seamless dining experience. The Strip District spot skips all gratuity in favor of a base salary (reportedly $35,000), plus 10 vacation days and shares in the organization. Any tips left by accident will be donated to an area food bank. Everyone on staff at this not-for-profit brewpub is an employee-owner (hence "co-op") and draws a living wage, the extra revenue for which is derived directly from (slightly) higher menu prices. "The best way to support us [instead of tipping] is to come by," one employee-owner told me. "Even better -- become a member!" "All the employees get paid between $12 and $15," an employee at this LA county bistro told me. "Even if we're slow, we don't send people home," instead training them up on different facets of the business to "make you more valuable." Grub Street says this tough-to-land Boerum Hill reservation comes with an up-front service charge of 18%, which gets distributed evenly to front- and back-of-house. Yelp reviews vary on the point of gratuity (some putting it at 20%, others warning to bring cash for tips), and multiple inquiries with the restaurant went unanswered. I'll update when I know more. College towns are often fonts of progress, and since 1985 this down-home Ohio University-proximate restaurant/bar was tip-pooling to keep things fair for the whole house. They got investigated in 2012 for being so ahead of the curve, so they canceled gratuity entirely, and successfully navigated a ~20% hike to cover fair wages. "If sales are high, the wage is higher... if they're low, it's a little lower," said the nice lady who picked up the phone at Nueva when I called. If tipsy bargoers forget the rules and leave a tip anyway, she said, "we donate them to a local charity." More college! Cal kids' classiest option when Mom & Dad come to visit has been in business for decades, possibly because its inclusive service charge makes dining a more comfortable experience for both servers & customers (the excellent food helps, too). Compared to Panisse, Comal is a newcomer to the Berkeley scene, but the cozy Spanish spot wasted little time abolishing their tip line and folding in a 20% service charge, which allows them more freedom to properly compensate the front- and back-of-house. "The service charge percentage is based on the average gratuity [received] since opening in 2012," explains their website. "The reason we’re losing cooks is we’re not paying them enough money,” owner Amanada Cohen told the New York Times in its story heralding the restaurant's 2015 crosstown reopening. “They can’t afford to live in this city." To remedy the BOH/FOH imbalance, and to protect her entire staff from taking hits on slow nights, she pays a "fair living wage" based on experience. Thomas Keller's iconic NorCal refuge goes the high-end route befitting its birthright, including tip as a portion of the set menu price. It's unclear how much that portion is as the restaurant did not respond to my email or phone inquiries, but this old Chowhound thread puts it at 18%. 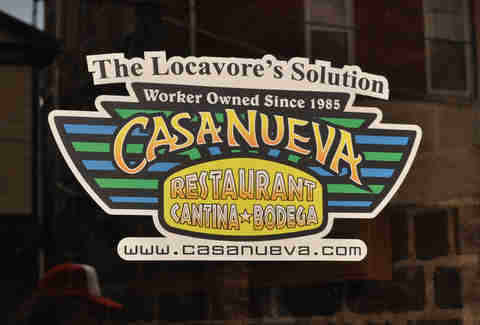 According to this Fishtown newcomer's website, "All dishes will be priced accordingly in order to provide full health care benefits, paid sick days & vacations, and better wages for all staff." Rad! 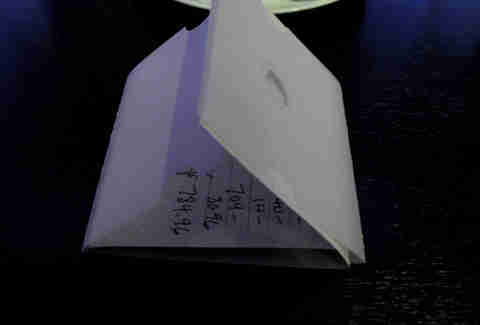 You can still leave additional gratuity if your server is double-plus good. 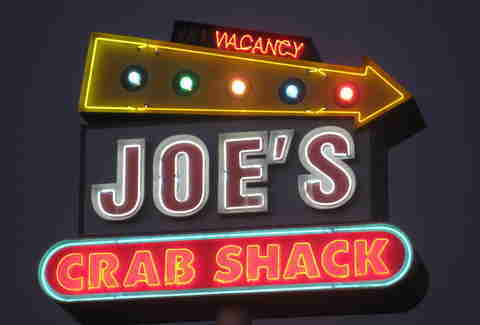 Via Thrillist's Wil Fulton: Following the lead of culinary iconoclasts like Danny Meyer, Joe's servers will now be starting at $14 an hour -- a pay raise that will increase overall menu prices at the restaurant 12-15%, according to Restaurant Business. The same report says severs will be compensated based on their previous performance, with $14 being the entry wage. Ignite Restaurant Group, Joe's parent company, expects server turnover to decrease, as the move will be at the very least a $12 raise according to Ignite CEO Ray Blanchette, who estimates the starting salary at competing restaurants to be a paltry $2.13 (but obviously offset by tips). "Our servers get paid 20% of gross sales at the end of their shift, or $10 per hour, whichever is higher," a Packhouse employee told me. Unsurprisingly, she said, the percentage is almost always a better take. As with French Laundry, Keller's highly acclaimed Columbus Circle flagship levies an included service charge to balance inequity between front- and back-of-house and counter instability. 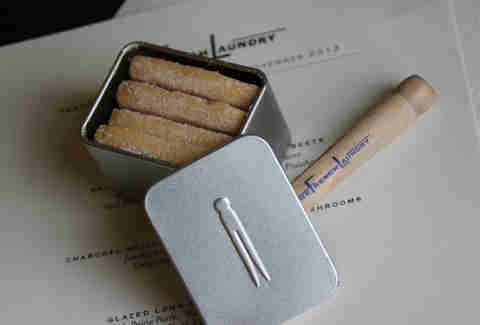 As with French Laundry, they did not respond to multiple inquiries. According to the Observer, Riki decided to go the traditional Japanese route and forego gratuity altogether. Instead, the Manhattan sushi spot raised its prices by about 15% to cover employee salaries. Same deal at Yasuda, a moderately fancier Midtown sushi oasis. 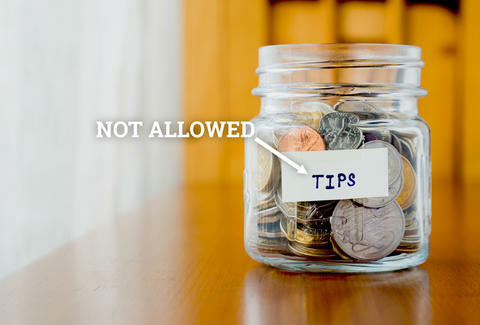 "No tips! No tips!," according to an employee. 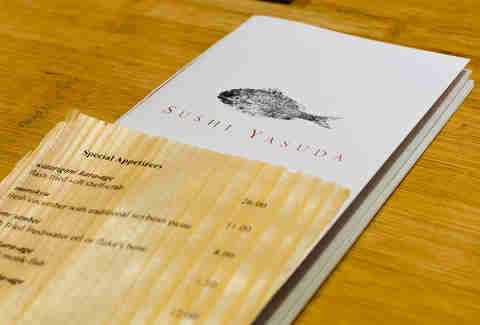 The receipt reads: "Following the custom in Japan, Sushi Yasuda's service staff are fully compensated by their salaries. Therefore gratuity is not necessary." There is no tip line. Oakland's Measure FF will already raise the city's minimum wage to $12.25/hour in an attempt to ensure a stable living wage. Many area restaurants are raising menu prices (the number being thrown around is 30%) to accommodate the bump, but general manager Todd O'Leary's Rockridge restaurant is already taking a different tack. "We all want to make sure the back-of-house is being compensated fairly, like the front-of-house is," he told me. To that end, they add a 15% service charge to every check; owner Heather Sittig Jackson told Inside Scoop earlier this month that this allows them to distribute that money to "anyone actually touching the plates being served to people." It balances the disparity between servers (who can take home around $33/hour thanks to tips), and the kitchen, which makes more per hour but is not permitted by law to receive tips. If a customer is a 20% tipper no matter what, said O'Leary, there's still a tip line on checks for customers to leave an optional something extra (the law says this money, though, still must only go to front-of-house). Best of all, the customer is paying less than he/she would be in the face of a hypothetical 30% price hike. Agricole's Financial District follow-up runs on the same system as its older brother. Like BA, Vogler's had the system in place here since the beginning of the year. The new system enables him to more equitably distribute revenue among his employees, he said. When the East Village pizzeria opens its doors (any day now, apparently! ), it'll join Dirt Candy in New York's small-but-vocal "no-tipping" club, according to this tweet from DC's owner Amanda Cohen. The Oakland outpost had every intention of moving forward with its wave-making tip-waive system, until the city passed Measure FF in late 2014. On the upside, the law raises Oakland's minimum wage to $12.25 ($5 more than the federal mandate), but on the downside, FF "has some language in it that would prevent us from distributing the money that way," wrote owner Allison Hopelain to me in an email. "This will likely just force us [to find a solution] sooner," she wrote. And she has: on January 31st, 2015, Camino will bump its menu prices and abolish tipping altogether. One of the Oakland restaurants that wanted to change but hit a snag in Measure FF, Duende is taking the slow-and-steady approach to the new law. "We love the idea of the longer-term sea change," chef-owner Paul Canales told SFGate, but for now they're waiting to see how the first few months of FF play out. Dave Infante is a senior writer for Thrillist Food & Drink, and thinks the winds of change are a-blowin'. Follow @dinfontay on Twitter, Instagram, and Snapchat.